This post continues the retelling of my recent time in Belize: participating in an archaeology field school and learning about jaguar conservation. Clicking on the “Travel” category to the right will reveal the rest of this series. Part of the forest near Pretty Group. June 3, 2017 was an exciting day. It was my first time working at the location known as Pretty Group, which I had heard about but never seen. Conditions in the jungle that day were hot and humid – so much so that my notes from June 3 contain the line, “I swear more than ever.” But it was worth it. Pretty Group more than lived up to its name, as the forest there was spectacularly beautiful. The vegetation was dense, and it contained the richest hues of green I had ever seen. Despite the thickness of the foliage at Pretty Group, the canopy was open enough to allow a fair amount of light to filter through. This gave the site a friendly, welcoming feel. Of course, we were there to work. At Pretty Group, much like at Structure 130, we were excavating some sort of ancient Mayan structure. Our goal was to expose enough of the buried architecture to determine what kind of structure it was. However, the layout of the two sites was quite different. I returned to the site known as Pretty Group for my final day of field work in 2017. Structure 130 consisted of a single large mound. Pretty Group, however, had two low mounds that almost came together at a right angle. The ground on the inside of this angle was mostly flat. I was assigned to work in a unit that was at the far end of one of the mounds. Excavations in an adjacent unit had revealed what appeared to be a wall that ran diagonally from the mound, and our team leader wanted to see if it extended to where I was digging. The work at Pretty Group was similar to what I had done previously. I scraped away dirt with the side of a trowel, or swept it aside with a brush. I then placed the liberated dirt into a metal bucket, so that I could sort through it later. When the bucket was full, I dumped its contents onto a screen. I ran my hands through the material that did not fall through the holes, looking for ceramic or lithic (stone) artifacts. At about 2:30 pm it was time to leave. Back at camp, without the benefit of archaeological work to occupy my mind, my thoughts drifted to my thesis. I had still been unable to connect with any of the jaguar researchers I wanted to meet with, which made me nervous. Fortunately Sheila and Dr. Brokaw had good news for me. People from nearby villages will sometimes enter the Rio Bravo Conservation and Management Area and illegally extract timber. Sheila informed me that they were trying to connect me with Melvis, a long-time guide at the La Milpa Ecolodge. He had worked in the Rio Bravo Conservation and Management Area for many years, and he was well acquainted with local challenges. As mentioned before, illegal logging is a problem in the Rio Bravo area. 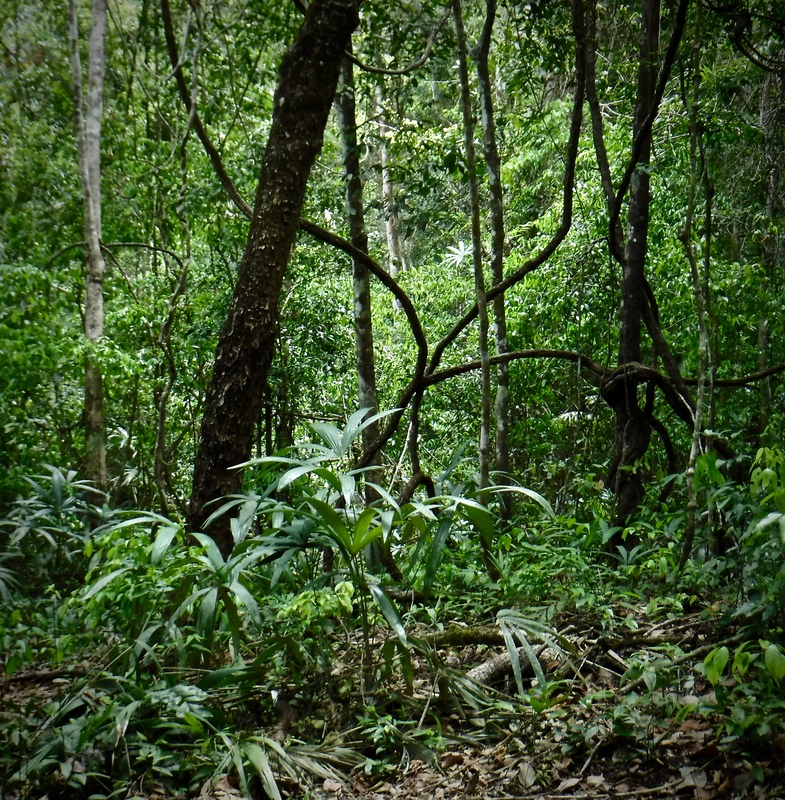 Previously, Sheila had suggested that I could assess local people’s attitudes towards the forest, in order to inform the Programme for Belize’s (the NGO that manages the Rio Bravo Conservation Area) outreach efforts. 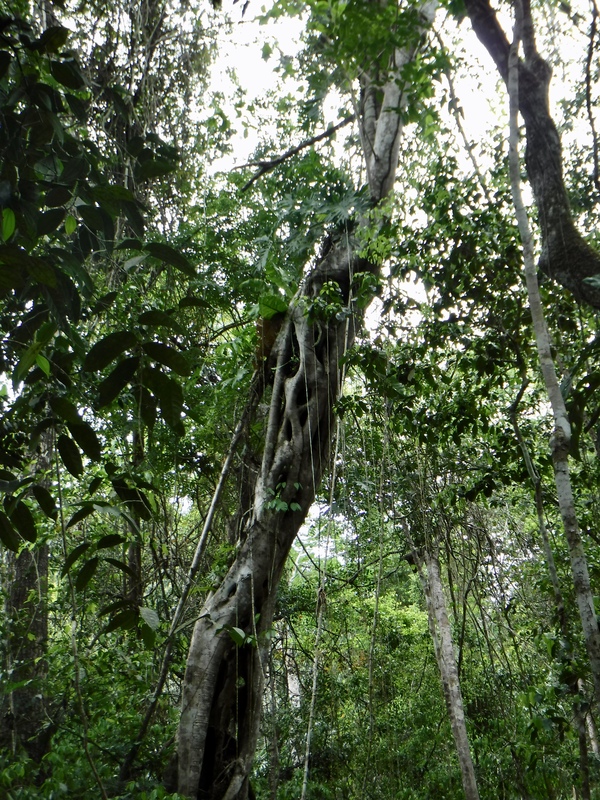 Speaking with Melvis might help me to get a better sense of what sorts of pressures the Rio Bravo forest was under. I was extremely grateful to Sheila and Dr. Brokaw for their help, and hoped I would be able to meet Melvis soon. I would get my wish before long.